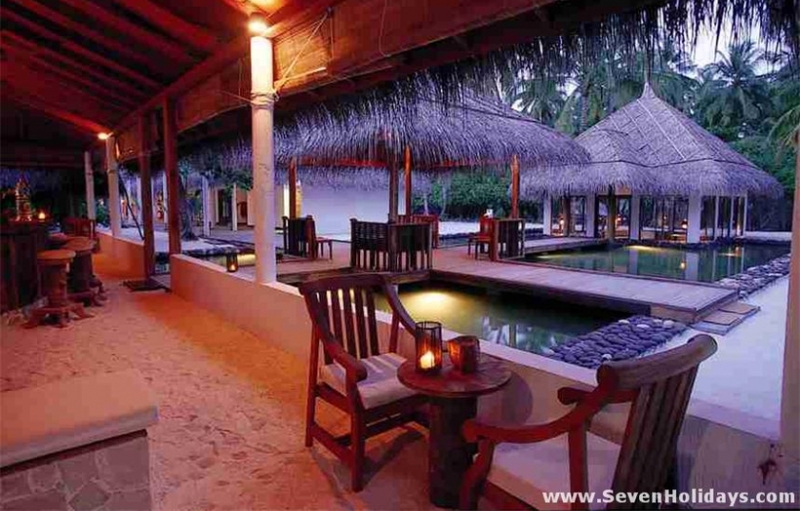 Filitheyo scores highly in all the categories that define a good resort. 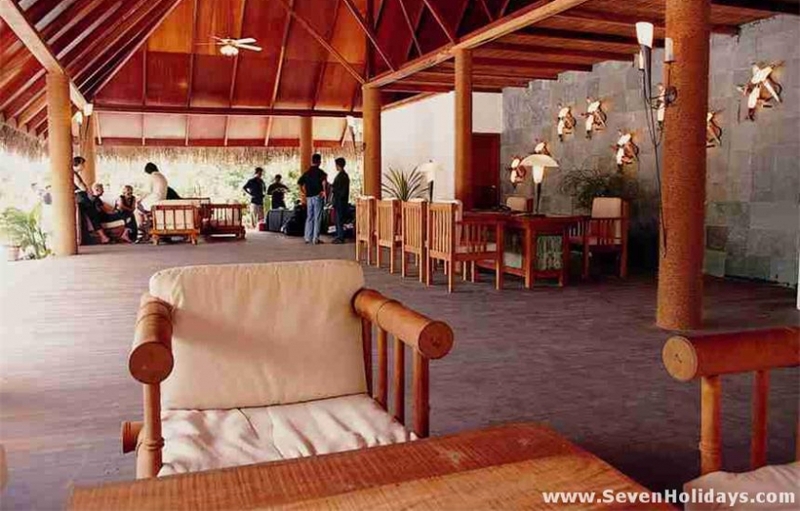 Its reasonable price makes it one of the best value resorts in the country. As with all good things, it doesn’t need to change, just be maintained. A new spa, though, is always a good idea. There has been very little intervention on the beach or in the lagoon, so nothing spoils the view or the walk down either side of the island. The beach is broad down the side with the large lagoon and narrower on the other side where the reef is close to shore. Yet even here very few rooms are without a stretch of sand occasionally. The reward for not filling in with pumped sand is the feel of talcum powder softness beneath your feet wherever you go. 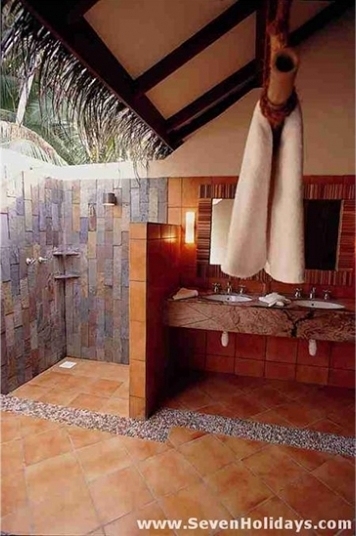 If you want to go barefoot for your entire holiday you can, as a wooden walkway through the public area is the only change from the sandy floors and trails that criss-cross the interior. 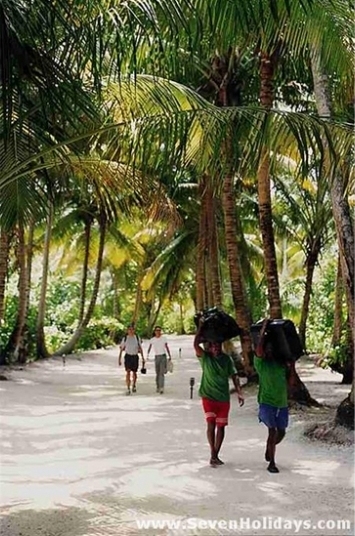 The interior itself is splendid: few resorts beat this one for impressive strands of mature coconut palms, indigenous vegetation and the chance to walk through, and not just around, the island. Most of the rooms are Superiors, facing east to the narrower beach. The upside is the ease of access to reef edge snorkeling. The Deluxe rooms face sunset and have the better beach, though the lagoon is shallow at low tide and can be a bit ‘corally’. Both types of room have the same low-lit casual comfort, cotton and light wood furnishing. The deluxe rooms are individual as opposed to semi-detached, are a little bit bigger and have lovely, extended inside-outside bathrooms. The Water Villas have similar furniture in a larger setting, and the day or third bed of the land rooms becomes a sofa. The deck has a fine Maldivian swing joli, 2 cushioned sun loungers and steps down to excellent snorkeling. It would be even lovelier if guests weren’t open to their neighbours on both sides. But with distinct aspects to the 3 room types, a number of guests divide their holiday between 2 or even all room categories, which the staff are happy to manage. Channels on both sides of the island make the housereef popular both day and night. Staff from the dive school will deliver the equipment to benches adjacent to the 7 reef cut-throughs. Coral regrowth is good and fish life is abundant here, as in the whole area. Whale sharks and mantas have even been seen on the housereef. Inside the atoll there are shallow thilas for inexperienced divers as well as many channel dives close by (with some challenging channel crossings) where big fish are often encountered. 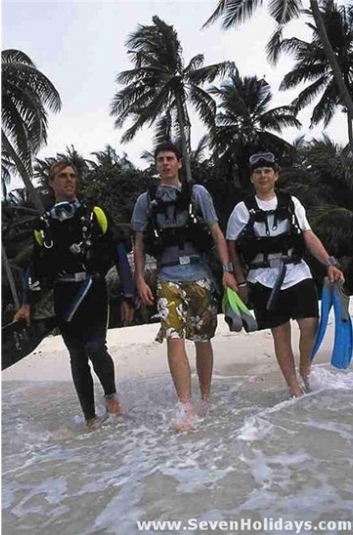 The resort has a majority of German guests, many of whom are divers, and then a mix of British, other Europeans and Asians. 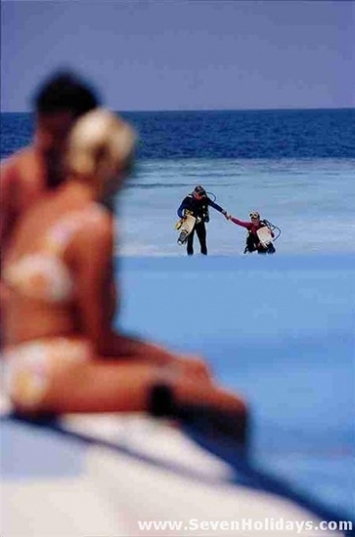 It now welcomes children , in recognition of the simple fact that it is a great resort for families . The delightful, rustic bar has a 2-hour ‘happy hour’, a wide selection of cocktails and ice coffees and is flanked by open-sided, thatched games rooms (pool, table football, table tennis) and outdoor tables that run down to the water’s edge. It also has a great snack menu. 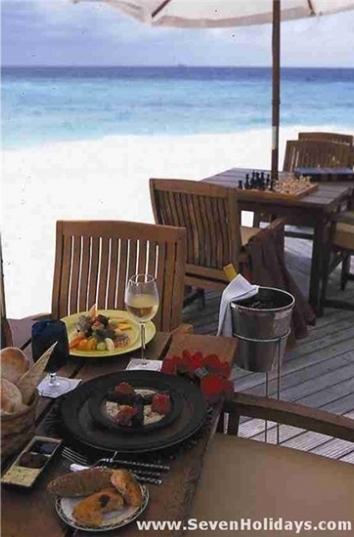 Dining is another key pleasure of Filitheyo. The cuisine is the best in this category of resort, with a commitment to quality and presentation that is unmatched and a clear love of the task and invention that is even rarer. The main restaurant is a little disconcerting in its size, but this is getting picky. With meal options in the main bar, the à la carte sunset restaurant, villa, beach and even desert island dining, half board is a good choice, with lunch or dinner as the included meal. The difficulty of getting a room here at certain times of year indicates that it things don’t need to radically change. The one thing that was asked for most often was a better spa and that it now has. In my opinion it is a little grand for 6 rooms and rather stiff in feel but Filitheyo is a big island, so they have been able to build big and still be fairly discrete, surrounded by tall palms. The treatments and the therapists are excellent. Another very useful addition is island-wide wifi. There has also been a greater commitment to green practises, such as becoming a plastic-free island and developing more intelligent recycling. 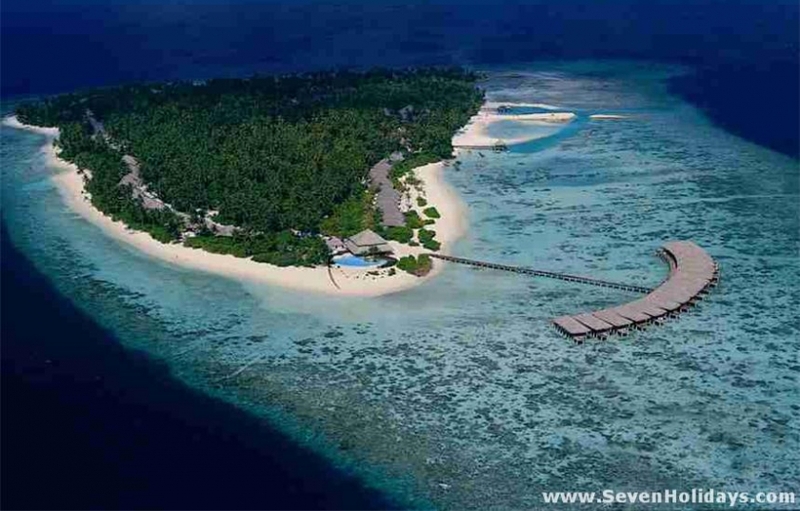 Filitheyo is lucky with its natural assets but human assets are another matter. Yet here too they are top class. The general manager is visible and makes a point of walking around and talking to his guests. It is a resort where you are not smothered by fine service but not ignored either. Altogether, Filitheyo remains one of my top choices.